One of the biggest debates in the world of supply chain management is whether it’s better to centralize or decentralize procurement and logistics operations. Greenland Contractors, in charge of daily operations at Thule Air Base, entered a partnership with Arctic Import of North Denmark that will streamline their contracts. Can Centralization Work in a Diversified Market? In the past, professionals argued that a decentralized system would be more efficient for a diversified company. A corporation that deals with a narrow market could benefit from a single supplier, but entities with various products in several distinct markets could not. Suppliers like Arctic Import make centralization practical for any entity, regardless of their focus. Greenland Contractors is responsible for supplying all the goods and services needed on the Air Force base, ranging from general commodities to IT networks and equipment. Arctic Import works with contractors and suppliers in many industries to offer a comprehensive procurement solution. Centralizing operations obviously saves time and money, but there are other benefits as well. In the case of Greenland Contractors, this agreement also makes it easier to manage the logistics demands of an arctic climate. “We have the advantage of more than 35 years of experience in delivering vital supplies to the North Atlantic and Greenland, thus we can always anticipate and remove obstacles in the supply chain,”says Frost. A centralized supply chain agreement such as this also benefits the local economy, providing opportunities for public and private companies throughout the region. Most supply chain management departments can benefit from centralization of their operations. The key is to partner with a central supplier that can readily meet the focus of your industry. You are right. Centralizing operations obviously saves time and money. 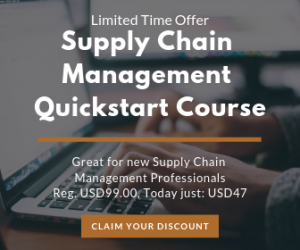 By consulting various supply chain experts, businesses can optimize their supply chain delivery models, and demonstrate total supply chain costs lower than the competition.